The back of each page was lined with a colorful fabric coordinated with the pictures on the next page. 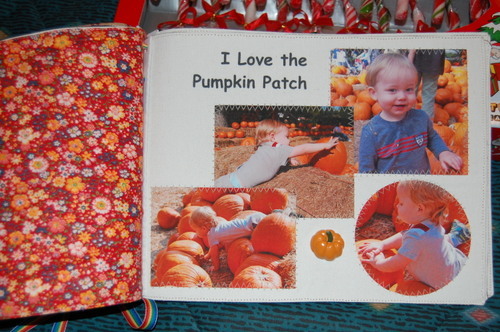 Here, photos from the pumpkin patch face a page of a predominantly orange floral print. Ryan loves his book and frequestly carries it with him.